Some 30 million people a year visit Niagara Falls every year. The falls themselves are of course spectacular, but the surrounding area is wonderful too, from parks to pastoral farm roads passing by wineries, and the pretty town of Niagara-on-the-Lake with its annual summer Shaw theater festival. 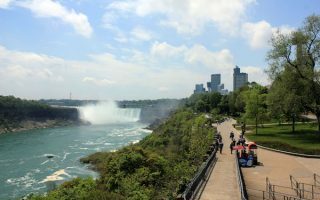 Our guide to running in Niagara Falls one route on the New York side, and then broader coverage of the Niagara region in Ontario, including Niagara-on-the-Lake, St. Catharines, and the New York side of the falls. Niagara Falls has some great opportunities for running, owing to an excellent infrastructure of multi-use paths that showcase some of the area’s most scenic highlights. 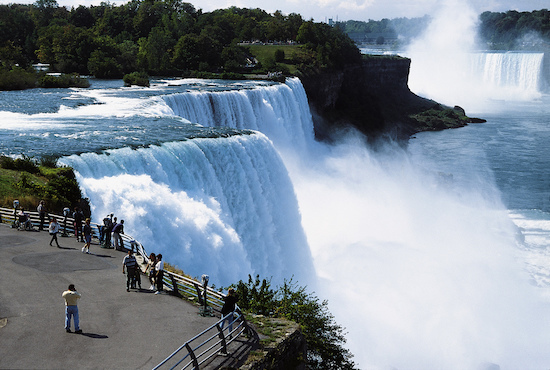 Enjoy our scenic running tours of the falls on both the Canada and the U.S. sides. 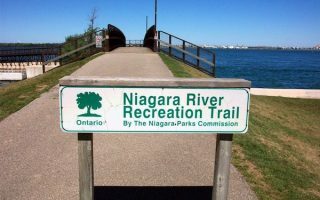 There’s also wonderful running along the Niagara River Recreation Trail to Queenston Park and then for up to 20 km to the shores of Lake Ontario! 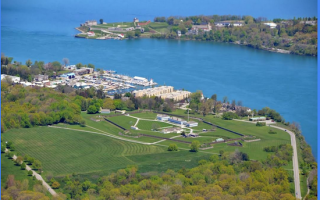 We’ve also put together a 10k running tour of the pretty town of Niagara-on-the-Lake. For a long, flat run along a canal, hop on any section of the Welland Canals Parkway trail. We’ve also included some routes in St. Catharines. A couple of important notes about the area: there’s good running on both the U.S. and Canada sides of the falls. You can run across the Rainbow Bridge — but remember to bring your passport! Also, winters in the area can be cold and snowy — except in the most visited sections, trails are not typically maintained…but bring your Yak-Traks! The classic Niagara Falls run, this one on the U.S. side. The highlight is from the Aquarium of Niagara to Niagara State Park, and then a loop around Goat Island. For more, head further south along Niagara Scenic Parkway. The classic Niagara Falls run, located on the Canada side. A wonderful path starts near Rainbow Bridge, heading south for 6 km to Kingsbridge Park. Great views of the falls and the Niagara River. On return, can use Queen Victoria Park. Pleasant, green running in the northern part of Niagara Falls. It's 7.5 km one-way from the Whirlpool Aero Car to Brock's Monument in Queenston Park on a paved multi-use trail. Can continue from there along Niagara River for up to 20 km to Niagara-on-the-Lake! Pretty town on Lake Ontario known for the Shaw summer theater festival, wineries, historic homes and sites. We've designed a 10.7 km 'grand tour', including a 4 km loop of Fort George, flower-filled Queen St., lakeshore, and Historic Old Town. One of the better off-road running options outside of the immediate Niagara Falls area. 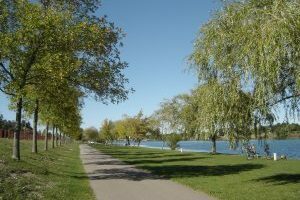 36 km path follows the Welland Canal between Lake Ontario in St. Catharines to the Lake Erie shore in Port Colbourne. Nice water views and flat! 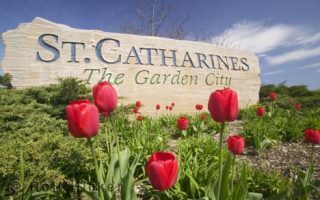 Largest city in the Niagara region is known as "The Garden City". Lots of wonderful parks and trails. 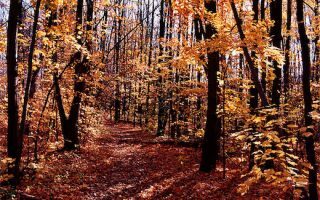 We recommend the Merritt Trail, the Twelve Trail along the Twelve Mile Canal, and trails around Brock University, including Glenridge Quarry & Moodie Lake.